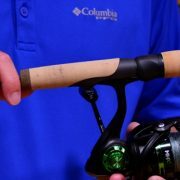 Watch as two experienced rod builders and anglers demonstrate how to apply custom rod decals to your fishing rods. 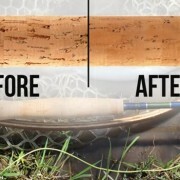 Whether you’re building a whole new rod or giving an old favorite a face lift, rod decals are an easy way to take your fishing rods to the next level of custom. 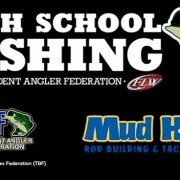 Plus, with all the Fishing Rod Decals & Stickers available at Mud Hole—the sky is the limit for your next rod build! 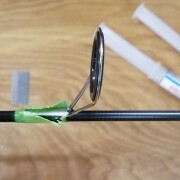 As you can see, there are also many different shapes, sizes and looks in custom rod decals, so use the simple tips in our decal tutorial below to improve the finished decal’s appearance and its longevity of your fishing rod. Looking for more ways to boost your decal’s appearance? 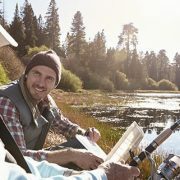 Experienced rod builders know what they want in a rod finish: extended working time, easy leveling, good bubble release, thread saturation, ultimate clarity and protection from UV yellowing. ProKöte answers these needs while providing the industry’s first medium build epoxy. ProKöte Rod Finish has been tested to be the #1 epoxy. ProKöte has the finest UV inhibitors available in a commercial rod finish. The clarity is unsurpassed by any other finish—period. It remains flexible without staying soft or becoming too hard and cracking. The leveling properties in this finish are 2nd to none while micro bubbles release with ease. In 1,500 hours of weatherometer (WOM) Xenon Arc testing by an independent laboratory, ProKöte Rod Finish proved to be the #1 brand of thread finish epoxy for rod builders. Tests for quality and overall coating performance were performed. Controlled laboratory testing proved dramatic superiority over the other brands. Tests on ProKöte note an 87% clarity retention compared to the leading manufacturer, while UV Yellowing was the lowest of all brands tested. 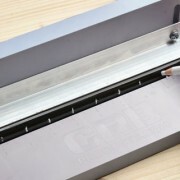 Laboratory Tests note that ProKöte Rod Building Finish is 207% better at non-yellowing and 187% better at a 60 degree gloss reflectiveness than the leading brand of rod building finish. Customize Your Own Fishing Rod Decals!